Pseudoscience pushing individuals can be likened to zombies. They have no brains, and their only goal in life is to eat the brains of those who don’t adhere to their position. The anti-vaccine crowd are my favorite zombies, because the metaphor can be further extended because the victims of these zombies can die (the logical result of non-vaccination). Yesterday, I ran across this YouTube video by someone called the PatriotNurse. As an aside, WordPress (the blogging software I use) allows for embedding of YouTube videos, which is perfectly within my programming capabilities. But for some unknown, and admittedly perplexing reason, PatriotNurse disabled the embedding feature. Lacking evidence, I won’t speculate as to why. She also has disabled comments to her video by stating, “The comments are OFF for many reasons. Foremost is that I refuse to be abused for a contrarian viewpoint that goes against mainstream “Sickcare.” In other words, she refuses to allow her zombie ideas to be shown in the bright light of the day. Also, if you look at her other videos, well, let’s just say I’m concerned about who trained her as a nurse and who would currently employ her, but that’s not the point here. Basically she uses the standard repertoire of unsupported claims, canards and fairytales that most vaccine denialists use to make their case. Every once in a while we should list out all their claims, debunk them, and refer to them in the future. The anti-evolution crowd, which probably relies upon 100 times more myths than the anti-vaccine group, has spawned a few websites that list out creationist claims, then thoroughly debunks them. At this time, the anti-vax websites focus on just a few claims, all of which are easily dismissed. In order of weakness of the argument, here we go! After my friend’s neighbor’s cousin’s sister-in-law’s daughter was vaccinated, she got….This argument is a typical example of the logical fallacy called post hoc ergo propter hoc or post-hoc fallacy, a Latin phrase which literally means, “after this therefore because of this.” In other words, just because one event follows another event, one cannot conclude the first event caused the second event. Or even that they are even peripherally related. One of the worst mistakes in science is conflating correlation (this event happens when another event happens) with causation (that one event actually causes the second event). Let’s put it this way. I’m sure a certain percentage of children who are vaccinated break there arms in a fall, get a cold, or draw on the wall with a pen. I’m sure some of us recall such an event. But are they related to the vaccination? Well, I’m sure someone would make a case that the child going to the pediatrician’s office to get a vaccine picks up a cold from another kid, but that’s a perfect example of pure coincidence. In other words, without providing a logical mechanism for the correlation, then causation is far from proven. 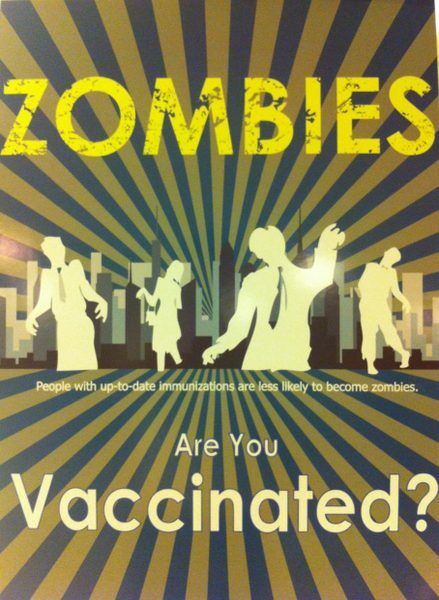 Everyone I know who gets a vaccination gets sick, paralyzed, or (put almost anything here). Similar to the post-hoc fallacy, it depends on a confirmation bias, that is, individuals look for evidence that supports their own beliefs or assumptions, ignoring all else. Of course, the vast majority of children or adults that get vaccinated do not have any serious side effects (nota bene: I chose one of literally thousands of articles that dismiss any serious side effects from vaccines). Essentially, this claim barely rises above personal anecdote. Vaccines cause autism. I’m not even sure this claim should be discussed because it’s been so thoroughly and scientifically quashed, it is almost sad that it’s still used as an excuse to not vaccinate. But since this is supposed to be a thorough list, I’ll go through the debunking again. Andrew Wakefield, who first invented the claim in a article in the British medical journal, The Lancet. Eventually, several co-authors removed their names from the paper in 2004, and finally the article was fully retracted by the journal in 2010. Finally, Wakefield was found to be a fraud. Still, the anti-vax conspiracists believe that vaccines cause autism, despite substantial evidence in peer reviewed journals (pdf file). Since all the evidence dismisses the claim, but it’s still trotted out by anti-vaxers, one can only reply with the evidence. Vaccines contain mercury. In the past, a mercury-organic compound called thimerosal was used as a preservative in certain vaccines, especially those that were labeled for multiple doses (vaccines vials are often doses of 10). But to be perfectly clear, thimerosal is not metallic mercury floating in the vial, it is a compound that is bound up in a rather large organic molecule, meaning that the mercury itself is inaccessible to the body and will be excreted. Cans of tuna, a typical childhood meal, contains several times more mercury in the form of methyl mercury, which is easily absorbed by the gut and can be dangerous. 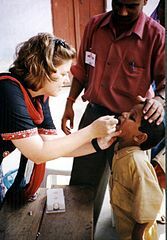 Vaccines that contain thiomersal contain about 25µg (or mcg or micrograms) of mercury. A 125g (about 4 oz) portion of canned tuna contains about the same amount. 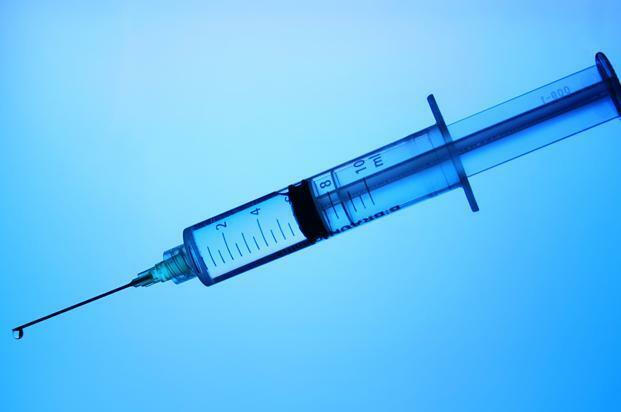 Vaccines contain mercury–but injected is worse than eating it. The discussion then moves to the myth that ingesting mercury from foods is somehow better than getting it injected. Before we continue, remember the mercury in vaccines is thiomersal which is bound up by a relatively large organic molecule. This is a method used in a lot of pharmacological applications to isolate toxic metals from the body, but still derive a benefit from them. Contrast agents used in enhanced radiology exams (like CT’s) contain iodine, also fairly toxic. The organic molecule protects the patient from the toxic effects, while soon after the exam (usually within 30 minutes), the contrast agent is excreted. The same with thiomersal. Ingested mercury, in the form of methyl mercury (found in most fish), is actually absorbed faster, and methyl mercury also disperses to more organ systems because it mimics an essential amino acid, methionone. There are no physiological mechanisms that block the uptake of a small molecule like methyl mercury, so the effect might be worse than thiomersal. Vaccines contain mercury, oh my. Except, they don’t contain mercury, save for some flu vaccines. So, not only eating tuna sandwiches is a larger mercury source, vaccines is not a mercury source. Vaccines bypass the gut which is our best immune defense system. It’s hard to disprove something that has no basis in real physiology. If this claim were true, of course, we’d never be afflicted by most pathogens, and we wouldn’t need vaccines. The adaptive immune response to immunizations requires interaction with the internal organs and blood. It’s a Big Pharma conspiracy. This conspiracy is huge, because it includes the CDC, FDA, major medical journals, physicians, and, of course, the pharmaceutical industry. Of all the logical fallacies, the Appeal to a Grand Conspiracy is one of the most annoying. It is difficult to disprove, because the vaccine conspiracists don’t provide any real evidence for their assertion. Since extraordinary claims require extraordinary evidence, their claim lacks even bad evidence. There might be other arguments that they use, and I’ll be finding them and debunking them. In the meantime, I’m going to create a vaccine FAQ that debunks these things.